We’ve all heard the expression “put your money where your mouth is.” We show with our actions, not just our words, what we support or believe in. 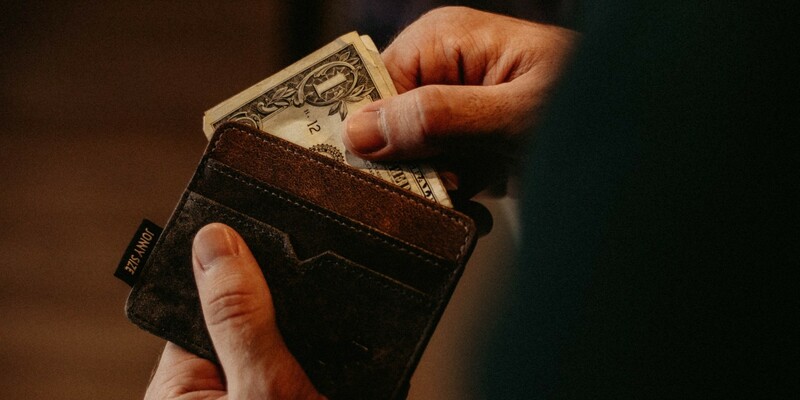 It’s easy to say we believe God will provide, but how we use money shines a piercing spotlight on whether we truly trust Him in all aspects of our lives. In Matthew 6:24, Jesus says we cannot love both God and money. Each is a powerful master and motivator. But we can prove which one comes first in our heart through the following actions. “‘Bring the full tithe into the storehouse, that there may be food in my house. And thereby put me to the test,’ says the Lord of hosts, ‘if I will not open the windows of heaven for you and pour down for you a blessing until there is no more need’” (Malachi 3:10). 2. We provide for specific needs. 2 Corinthians 9:7 says, “Each one must give as he has decided in his heart, not reluctantly or under compulsion, for God loves a cheerful giver.” When we decide in advance that we’re going to be generous, we’re ready to meet the needs God brings across our paths. It becomes a joy to send a grocery store gift card to the single mother struggling to feed her kids or to offer to fill the gas tank of a harried college student. 3. We get out of debt and stay out of debt. Proverbs 22:7 tells us, “The rich rules over the poor, and the borrower is the slave of the lender.” We show God we trust Him to provide, and we prove to be good stewards of what He’s already given us, when we avoid going into debt or work to get out of it as soon as possible. 1 Timothy 6:6 says, “godliness with contentment is great gain.” Marketers spend millions trying to convince us we need to buy something to be happy and content. Don’t fall for that lie. God is all our souls need, and when we stop striving for more and let ourselves be happy with what He’s already given us, our stress levels drop exponentially. 5. We don’t fret about finances. Jesus tells us, “Seek first the kingdom of God and His righteousness, and all these things will be added to you” (Matthew 6:33). Having our priorities straight generates peace in our hearts that spills over into how we treat others. And when we treat others well and they see that peace, we will have more opportunities and more clout, to tell them about Jesus. When we put God first in our finances, we show that we trust God and not money. And, we receive all the blessings that come from building our lives on His Word (Proverbs 3:13-15). Discover more about put-god-first, generosity, money, tithing.